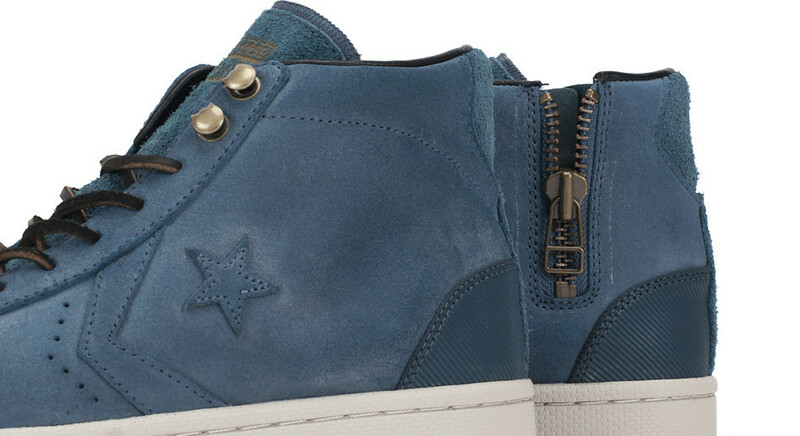 Converse First String presents the new Pro Leather Zip in Orion Blue, a premium version of the classic Converse basketball silhouette. 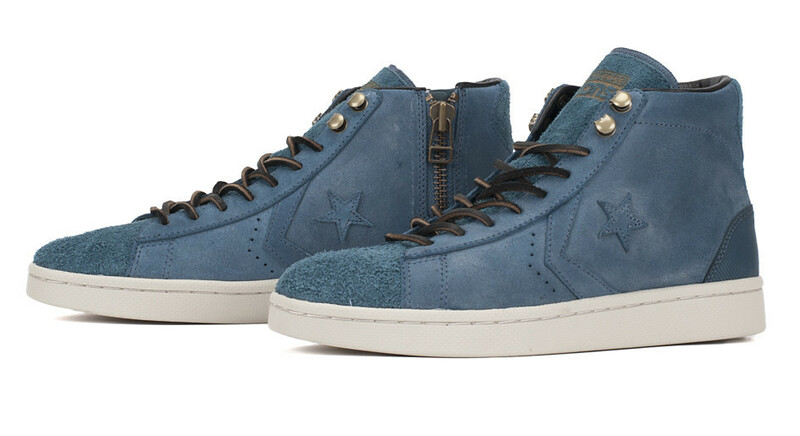 Converse First String presents the new Pro Leather Zip in Orion Blue, a premium version of the classic Converse basketball silhouette. 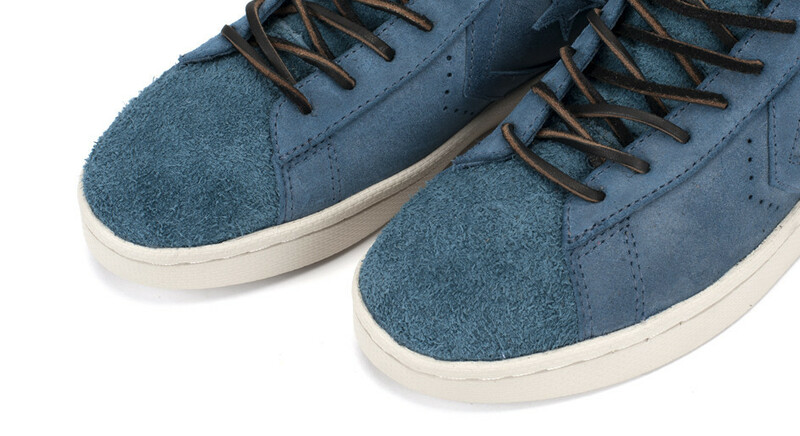 Premium suede fills the upper, complimented by a deconstructed suede toe box/tongue and a prominent brass zip entry. 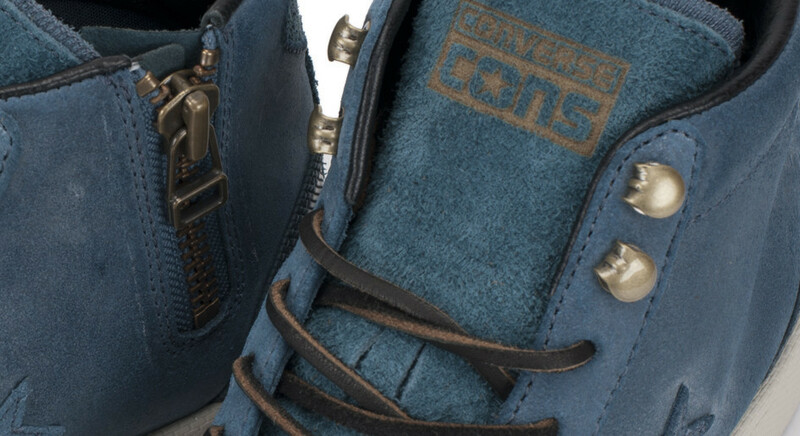 Additional features include metal hook eyelets, leather laces and a Lunarlon-cushioned sockliner. 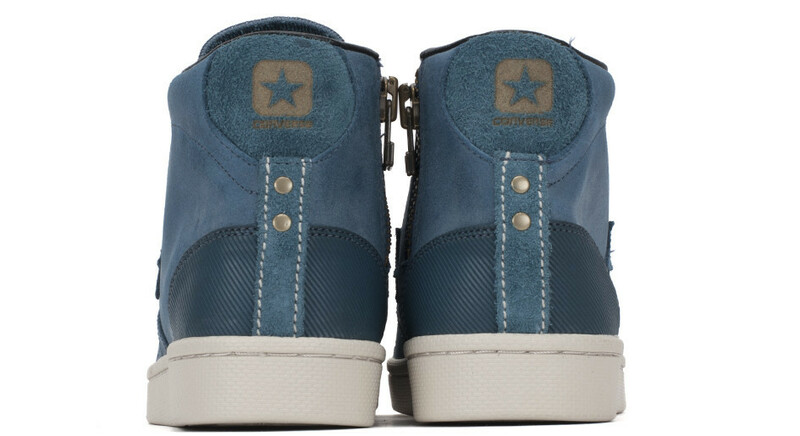 The Converse First String Pro Leather Zip in Orion Blue is available now at Converse First String accounts, including online at Bows & Arrows.